MOSCOW, December 29. /TASS/. Most Russians (37%) would ask Father Frost – Russians’ beloved traditional New Year’s character – for good health for themselves, their family members and all other people, while another ten percent would ask for world peace, the All-Russia Public Opinion Research Center said in a statement on Saturday. “The main thing that Russians would ask Father Frost for is health for themselves, their family members and all other people (37%). That being said, the second most important thing for Russians (ten percent) is world peace,” the statement reads. Another nine percent would ask Father Frost for money and financial wellbeing. One in twenty Russians (five percent) would ask for a new apartment or a country house. Five percent of those surveyed are eager to ask the mythical figure to make sure their wages are raised, or that they find a decent job or advance their career. About four percent of Russians wish for national prosperity and stability, and three percent would ask for happiness for all people, increased pensions and improved living standards. Among other things, Russians would also ask for lower prices, family prosperity, trips, stability, happiness for their children and grandchildren, the prospect of paying off all debts and loans, and also for general success, the pollster added. “Young people dream about making a fortune, getting a decent and interesting job, having an apartment, a country house and a car, while the elderly wish for health and peace,” head of the pollster’s Research Department Stepan Lvov said, commenting on the survey’s outcome. The nationwide telephone poll involving 1,600 people was conducted on December 14. The margin of error does not exceed 2.5% at the 95% confidence level. Hey Buddy!, I found this information for you: "Father Frost, are you listening? 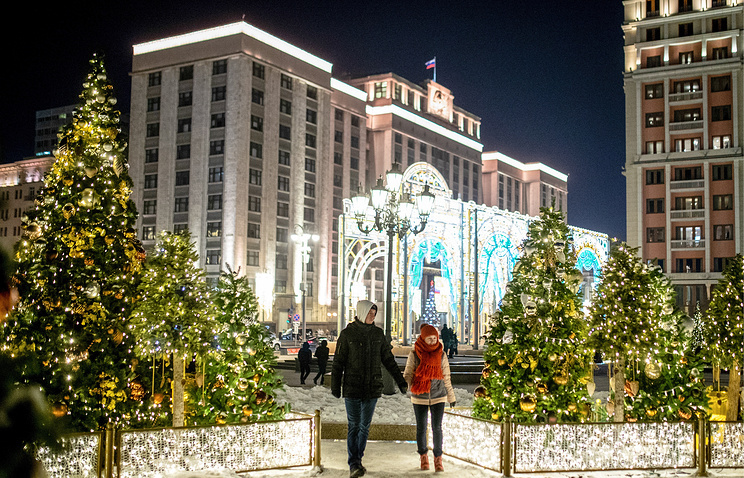 Poll reveals what Russians wished for this New Year". Here is the website link: https://russophile.org/father-frost-are-you-listening-poll-reveals-what-russians-wished-for-this-new-year/. Thank you.